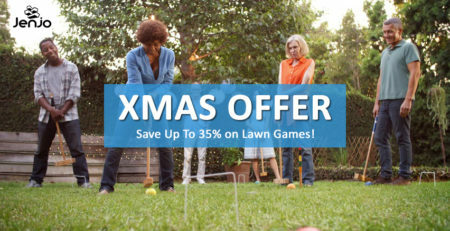 Outdoor lawn games are the great option to play all seasons. 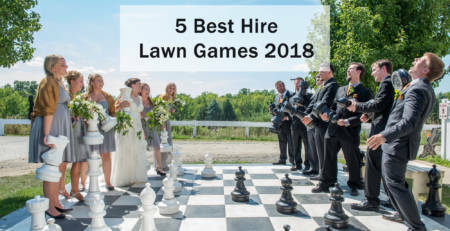 Here is the list of 5 most popular giant outdoor lawn games (but not limited)! As it’s name Giant Jenjo, it will give you giant fun. This is a game for physical and mental skill. Giant Jenjo is made up with 54 individually sanded wood made blocks. 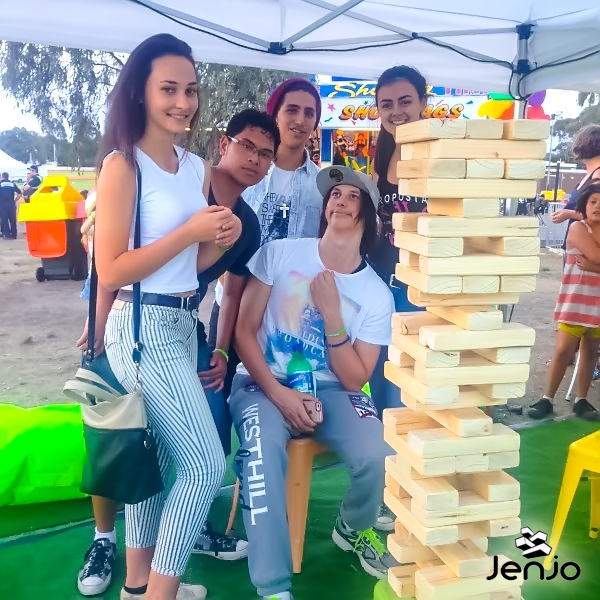 Giant Jenjo is played by taking one block out of the tower at a time & putting it on top. The completes once a block/blocks falls from the tower. Giant Four in a Row is ideal for outdoor or indoor. 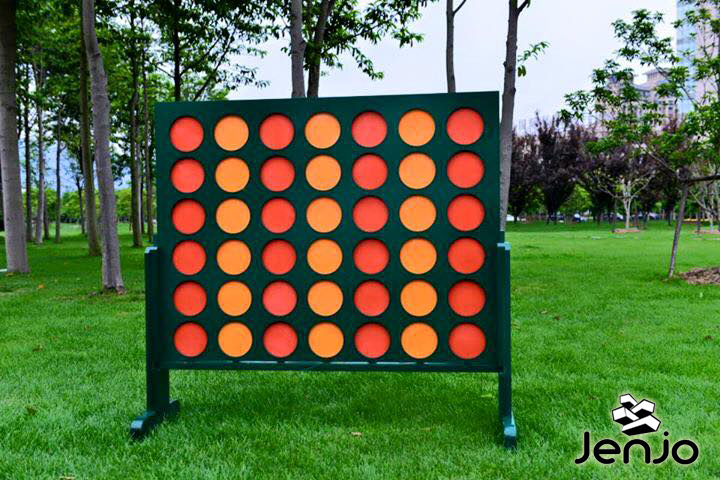 Includes a frame and 42 discs (21 yellow and 21 red) for 2+ players. 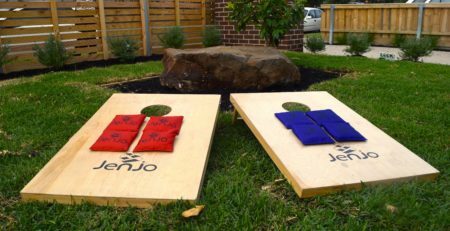 A traditional game of skill that is fun to play with family or friends. 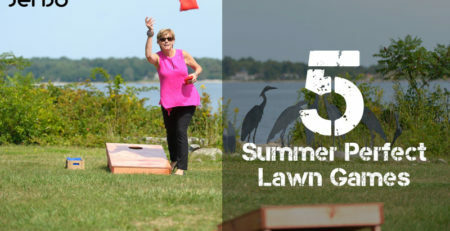 You can play it in the lawn, beach, local park, corporate events or wedding. Wherever you take the Giant Four in a Row expect a WOW factor from all your guests! The winner being the first player to connect four disc’s either vertically, horizontally or diagonally. Giant Dominoes game’s pieces can be better grip and the big printed dots can be better identified. This game is also fantastic game for the people learning to connect numbers together. 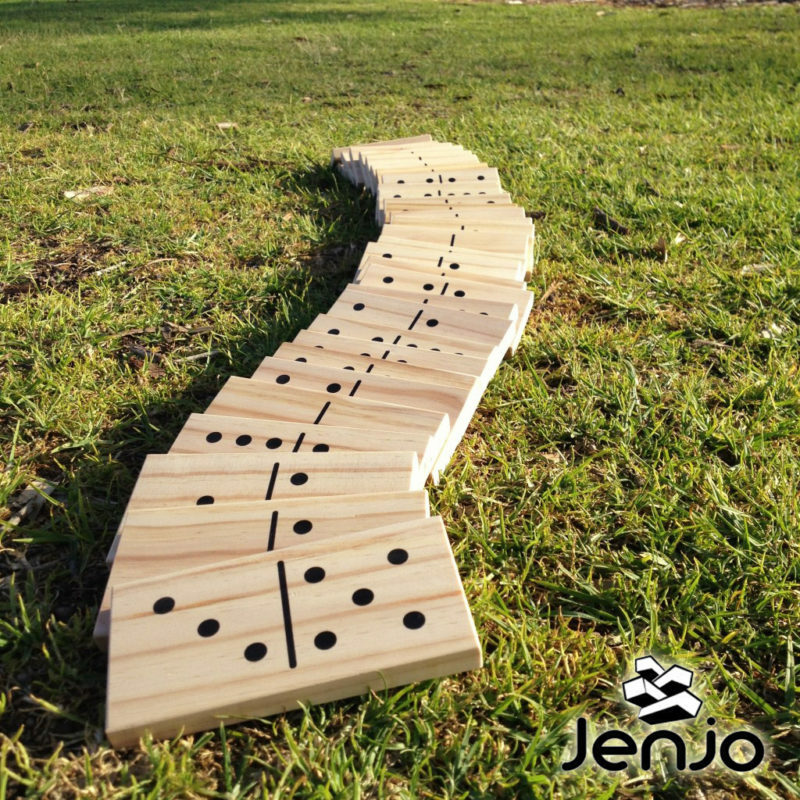 They have fun by putting each domino up & push them all over in a domino effect. Dominoes are also great for people with visual impairment. Giant Dice is a wonderful dice game. 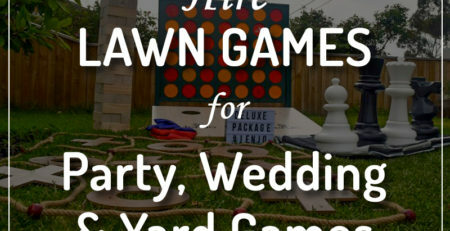 It can be played inside or outside. 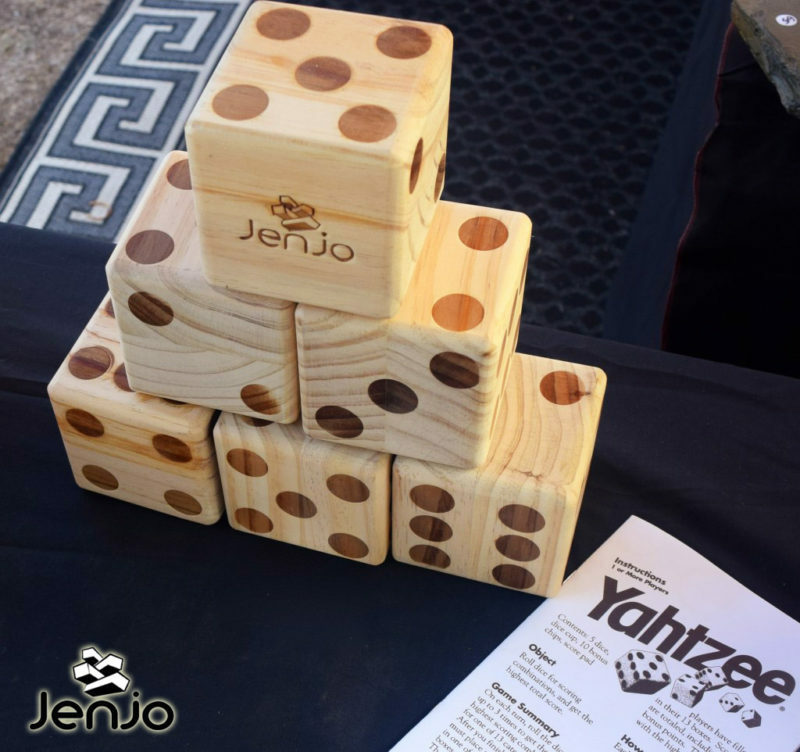 A Yahtzee is five-of-a-kind and scores 50 points. 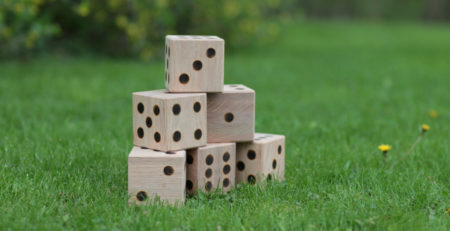 Scoring is made after each turn you have until all the six score boxes are used. The player with the highest score wins the game! 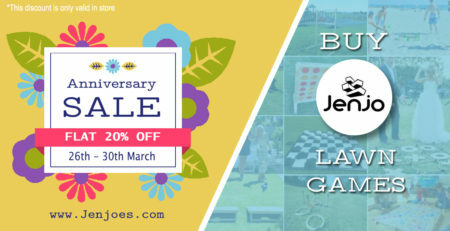 You can take it to a party, wedding, social event, corporate events or family fun day. 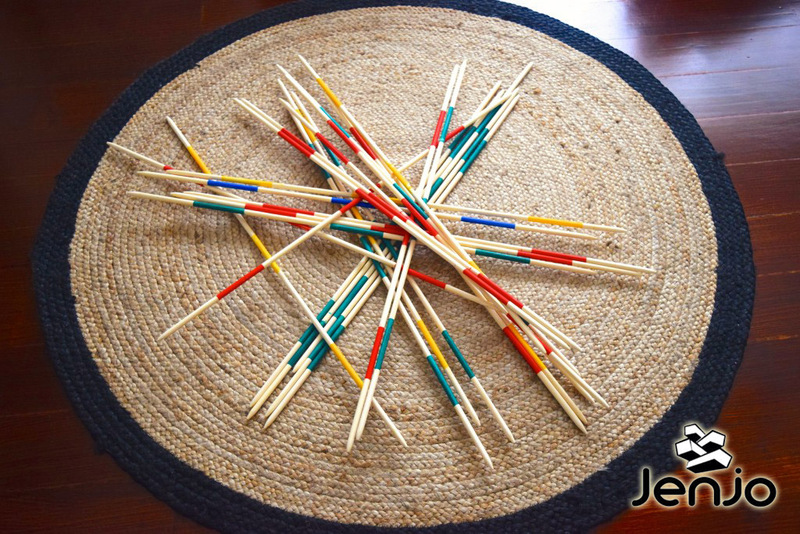 Pickup sticks game originating in Europe & was called Mikado. In 1936 it was brought from Hungary to the America and was generally called pick-up sticks. The concept of the game is to pick up the most sticks & collect the most points. To begin the game, a bundle of sticks are somewhat randomly distributed so that they end up in a tangled pile. The more tangled the resulting (dis)array, the more challenging the game is. Each players attempt to remove a single stick, without moving any other stick. Points are awarded for each colour stick you pickup. Today pickup sticks is a great activity to play around the house to get the whole family involved in playing & testing out their skills. 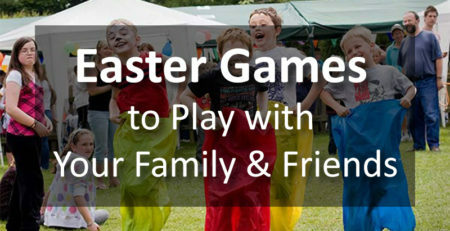 Also great at kids birthday parties, social events, fundraisers or take along on sunday picnic/bbq. 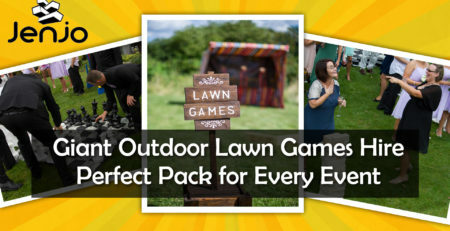 So which outdoor lawn games you want to buy and play? Hi i am trying to order a mega giant jenjo and giant dominos, the site wont let me can this be done over the phone?